One of the quirkiest forms of street art we see around Shoreditch are the chewing gum pics of North London artist Ben Wilson. Last week by chance Ben was spotted in Shoreditch hard at work on a new batch of chewing gum pics. Ben painted a series of new chewing gum pics to replace a number that disappeared following fresh pavement works. One of the pieces sadly lost was a brilliant miniature view of Old Street at the location where the gum was painted, compare Ben’s chewing gum pic with the actual scene. 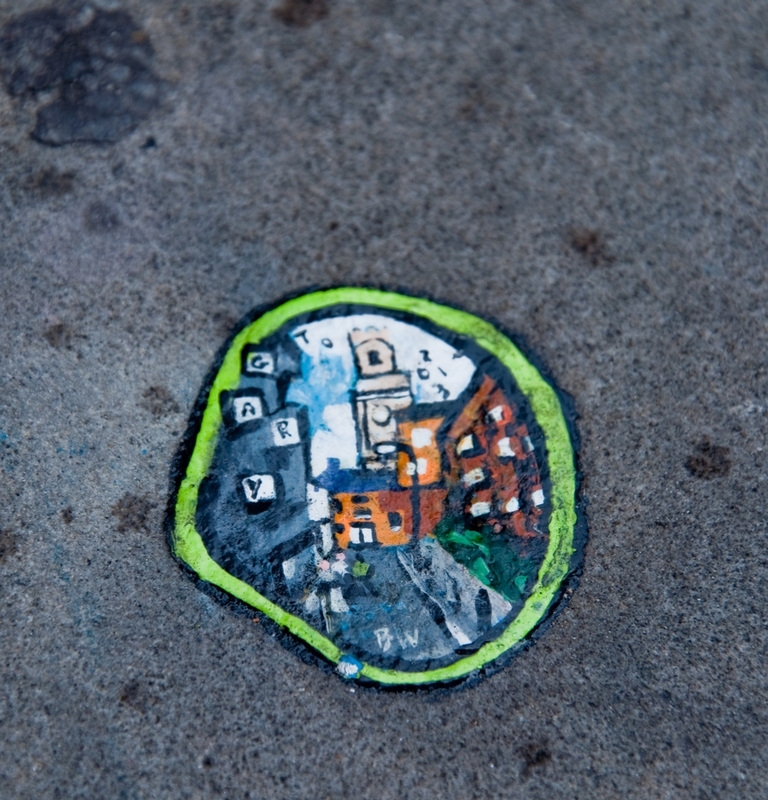 One location where Ben is renown for painting these chewing gum pics is on the Millennium Bridge spanning the Thames between the Tate Modern and St Paul’s Cathedral. By Ben’s recent estimate he has painted over 400 chewing gum pics on the bridge, many of them dedicated to passers by who have stopped and chatted with him. This entry was posted in News and tagged Ben Wilson, chewing gum man, chewing gum pics on 06/21/2016 by Shoreditch Street Art Tours.